Test Track, one of the most complex ride ever built by Walt Disney Imagineering is a high speed ride through a vehicle testing facility, located in Epcot's Future World. A major refurbishment of Test Track began on April 16 2012 to re-Imagine Test Track into "Test Track Presented by Chevrolet". 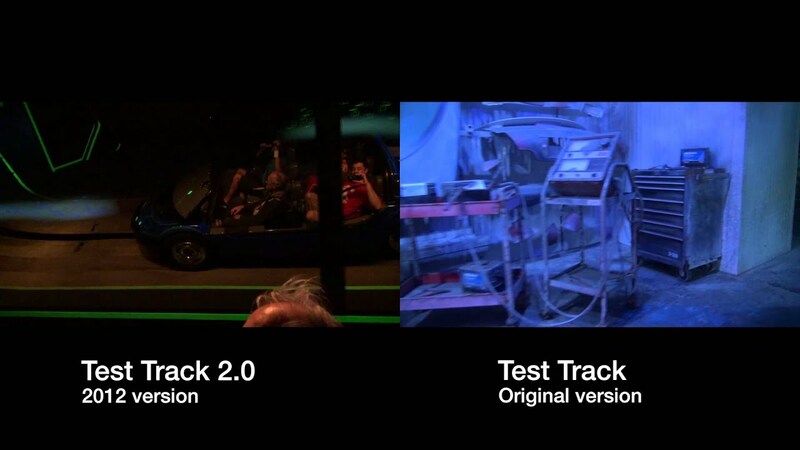 The ride system and track will remain the same, but will feature new story, new queue, and new show scenes. 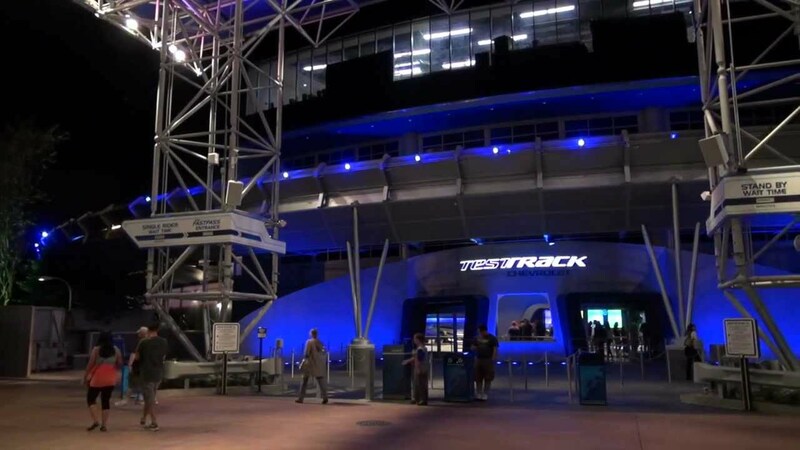 Test Track is expected to reopen on December 1 2012. The eagerly anticipated Test Track is the first public-access automotive proving ground in the global network of General Motors vehicle testing facilities. 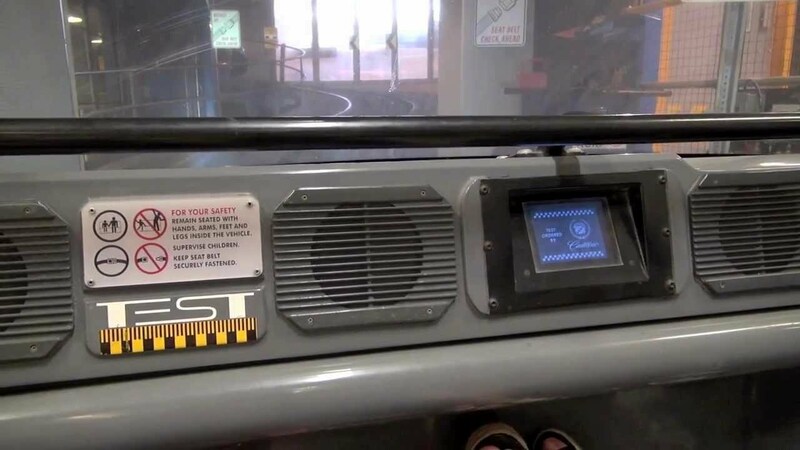 From entry to exit, Walt Disney World guests engage in an experience vastly unknown to the general public -- the exhilaration of taking a test vehicle out on a variable speed, multi-surface and multi-environment test-track course. The aura of the proving ground begins to take shape in the Test Track pre-show -- an industrial looking testing laboratory filled with actual test equipment and vehicle components. The many reasons hundreds of tests are performed on GM cars and trucks are illustrated in the Quality Zone, highlighting GM automotive technology, and the Safety Zone, displaying GM safety innovations and practices. Simulations of tests include brake, wheel, suspension, airbag, seat belt and windshield tests. Epcot guests reach the sanctum of the proving ground as they board a six-passenger Test Track vehicle. 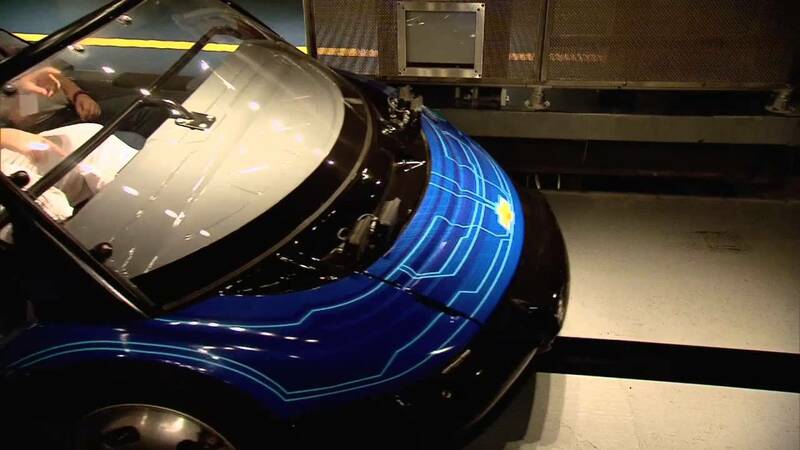 The longest and fastest Walt Disney World attraction engages Epcot guests in a rare sneak peek inside the long-restricted world of automobile testing. Passengers in each "test" vehicle experience a firsthand look at how GM cars and trucks are tested before being brought to market. The "test" schedule begins with a tire-squealing, engine-roaring, three-story ascent. Passengers descend to the second level over a series of harsh variable road surfaces. Two passes through a circular set-up of traffic cones shows how a wildly-out-of-control skid can become a manageable steer with ABS brakes. Rolling to a stop, guests view an instant replay of themselves performing both tests from a bird's-eye view. Vehicles are exposed to extreme heat, bone-chilling cold and a "corrosive" mist sprayed by industrial robots in a series of enclosed environmental chambers. Exiting from the chambers, vehicles accelerate quickly up a switchback "mountain road" to a dark tunnel full of surprises. Guests feel what it's like to be a crash-test dummy during this attention-grabbing, high-speed sequence. Outside the building, vehicles scream around a steeply-banked loop turning them back toward the 50-degree banked curve hugging the building's massive circumference. Heading back inside, each vehicle is tested on the thermal imager, a device allowing guests to see the areas of heat generated on the vehicle -- and guests -- during testing. In the post-show, interactive demonstrations and GM vehicle design and production displays further explain the benefits of GM's vehicle-testing practices and its commitment to safety and quality. State-of-the-art interactive equipment allows guests to witness the benefits of GM's Smart Car Technology. A multimedia film takes guests through the steps of bringing a GM vehicle to market. The glitz of top national car shows entertains guests as featured GM vehicles are revealed in grand fashion. Plus, guests have the unique opportunity to purchase one-of-a-kind automotive collectibles and merchandise at a specialty shop located within the post-show. Test Track is definitely on the cutting edge of technology, said senior show director Orrin Shively of Walt Disney Imagineering, himself a former automotive designer. "With its incredibly sophisticated indoor/outdoor ride system, we have introduced an exciting and dynamic attraction to Epcot."